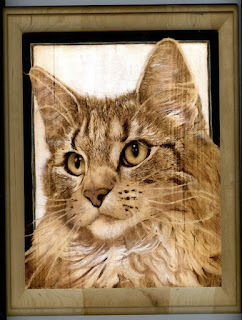 How awesome is this woodburned cat????? Sounds like a perfect New Years Eve! Happy 2016! Looks like a very intricate piece. Very pretty though. Glad you had a safe New Year's Eve.